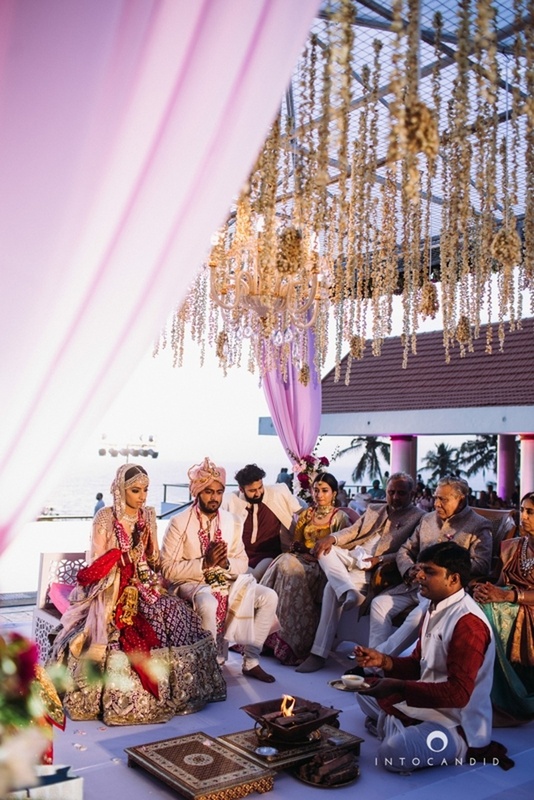 The stunning mandap decor of suspdended floral strings is an idea worth stealing! 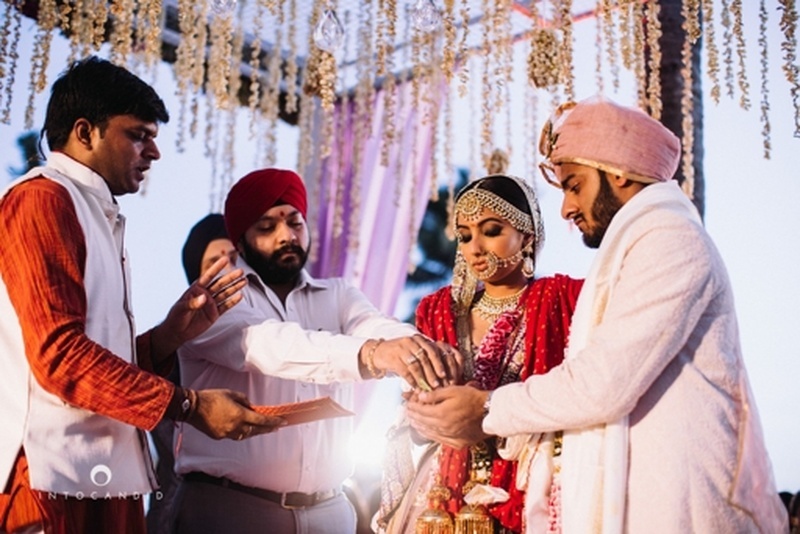 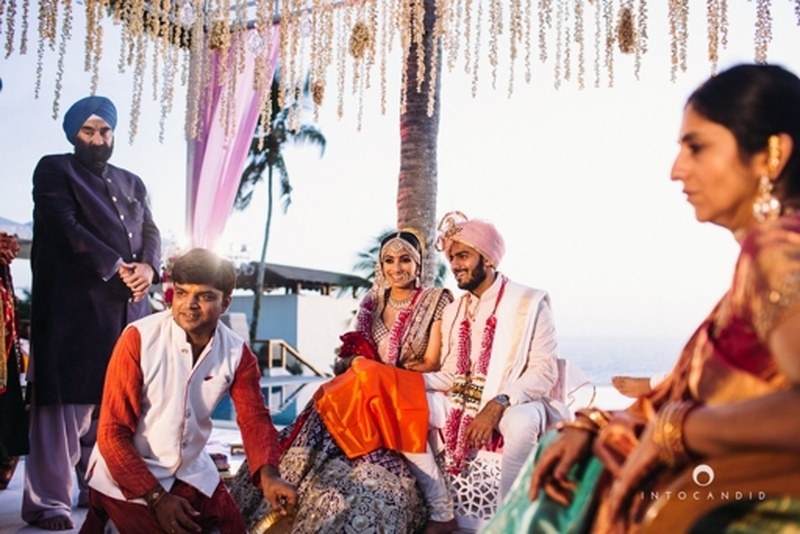 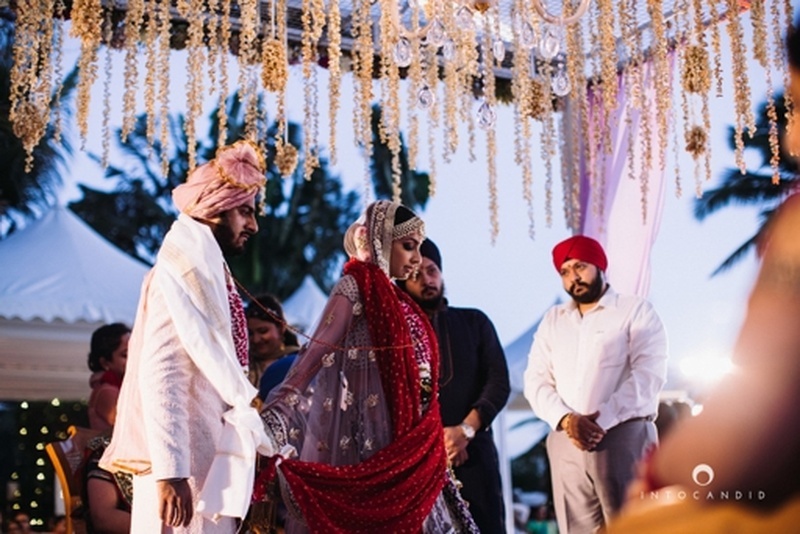 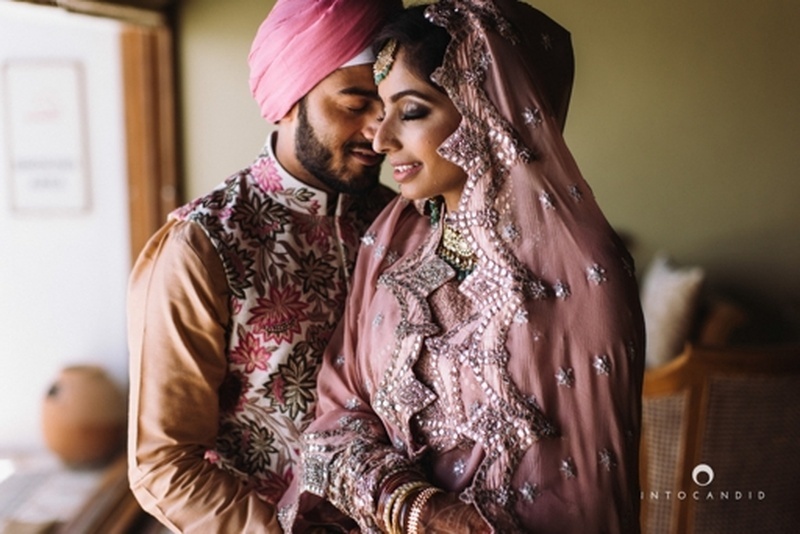 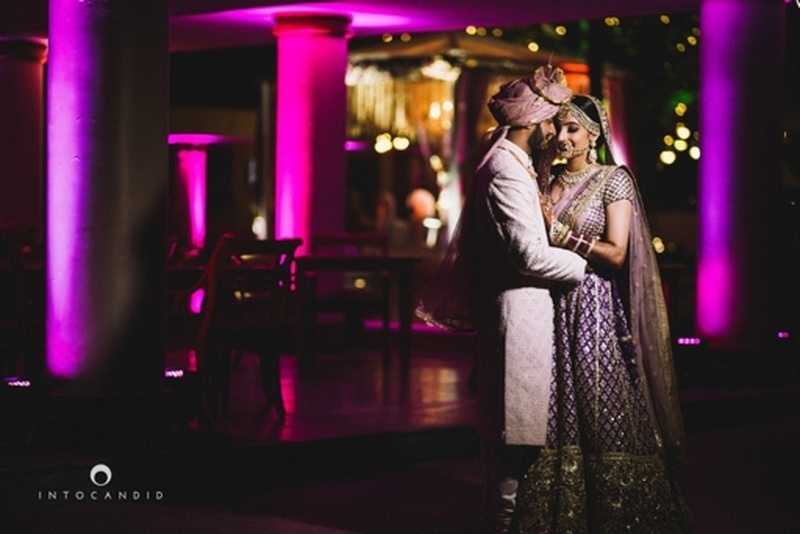 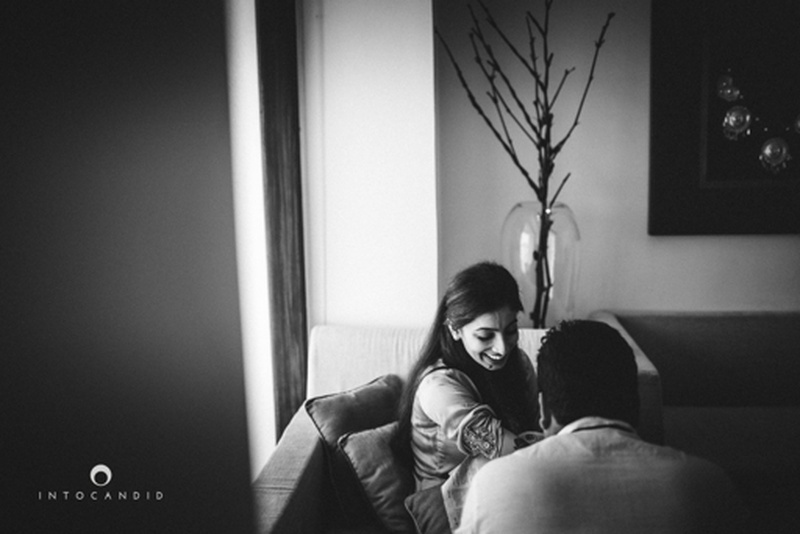 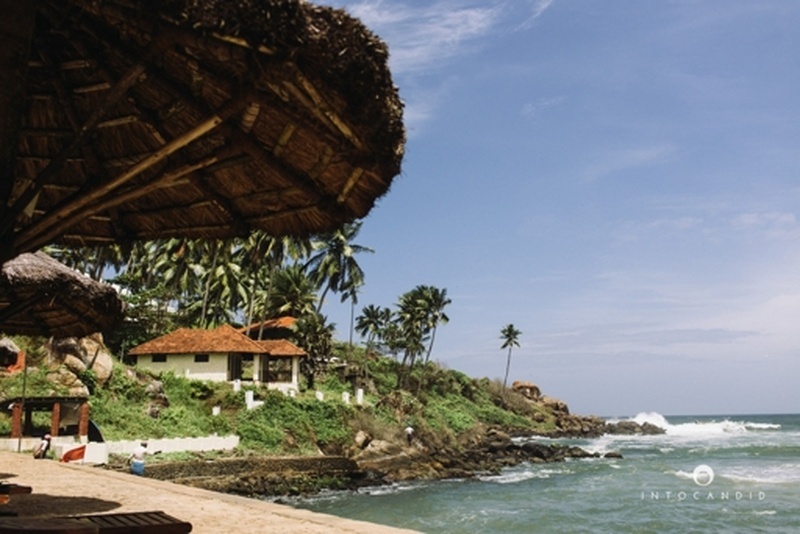 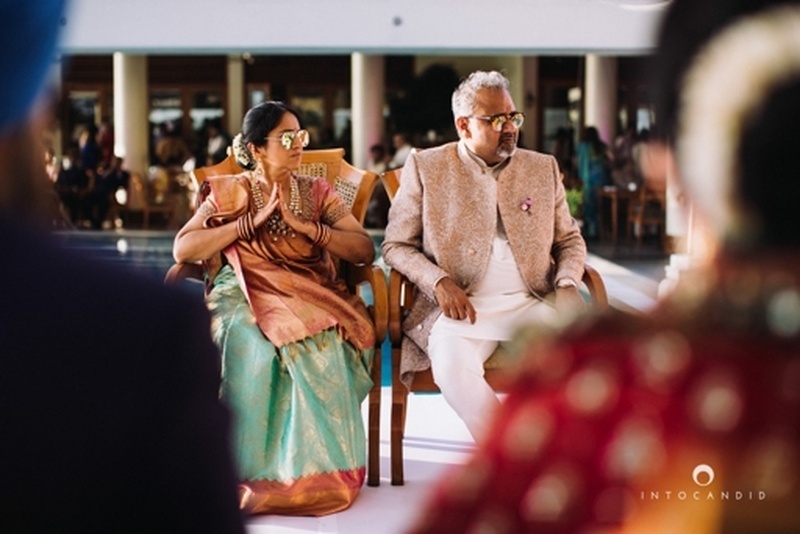 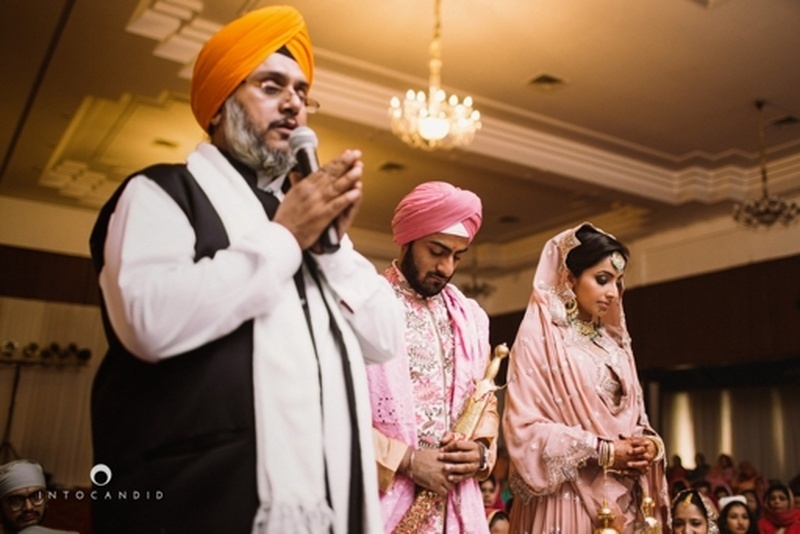 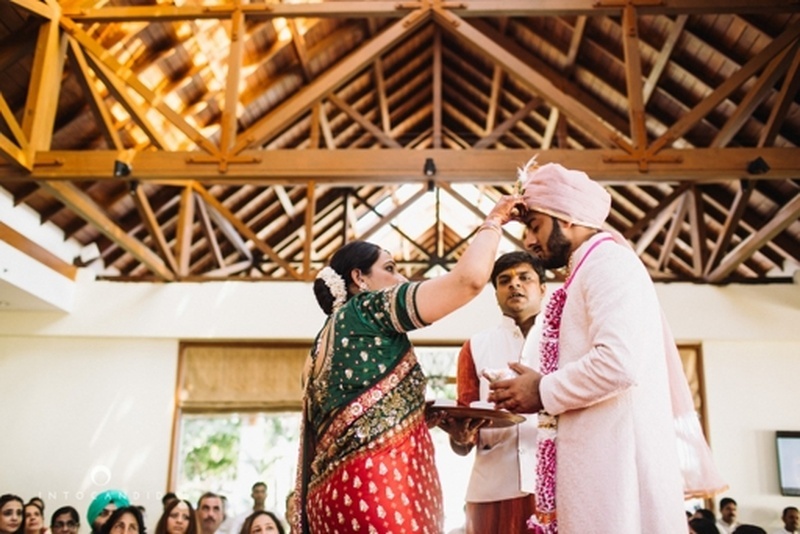 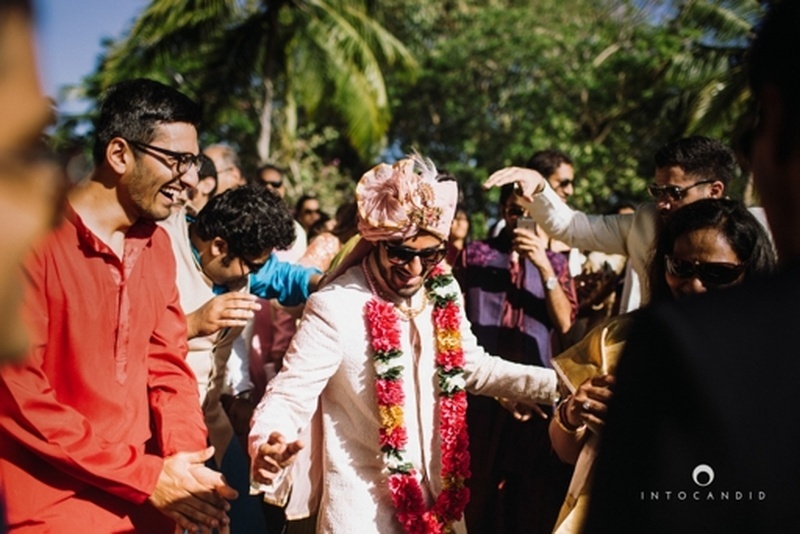 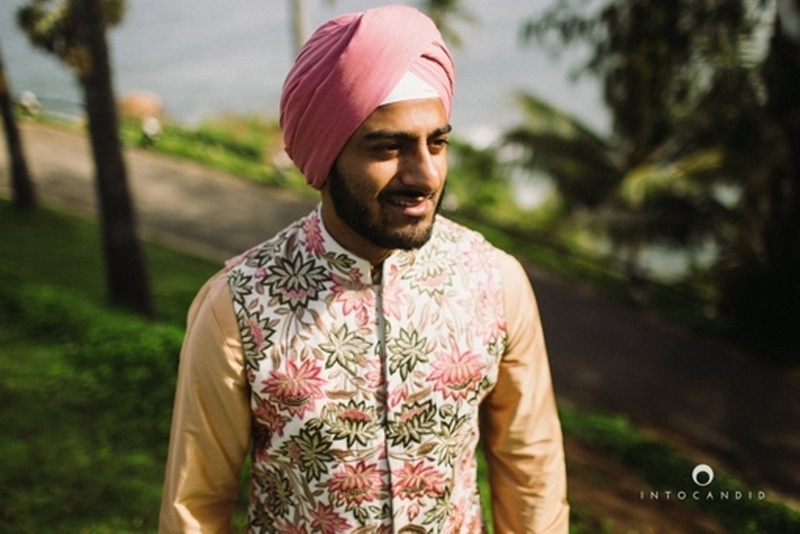 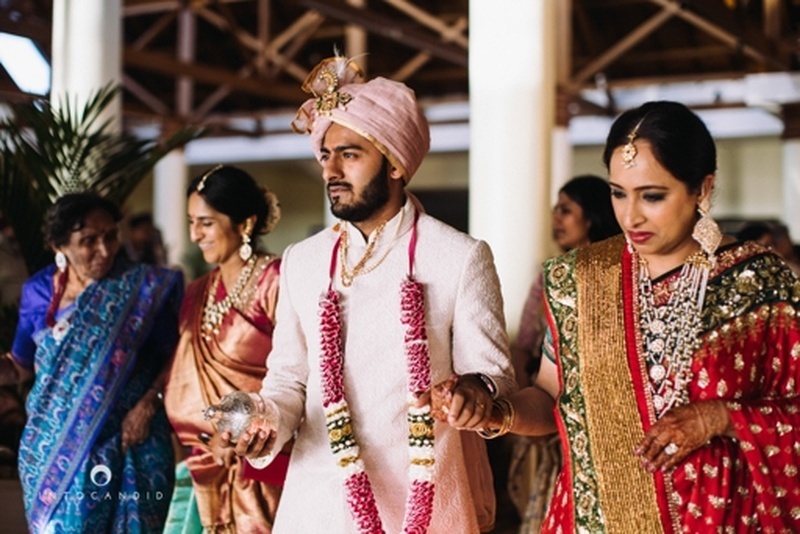 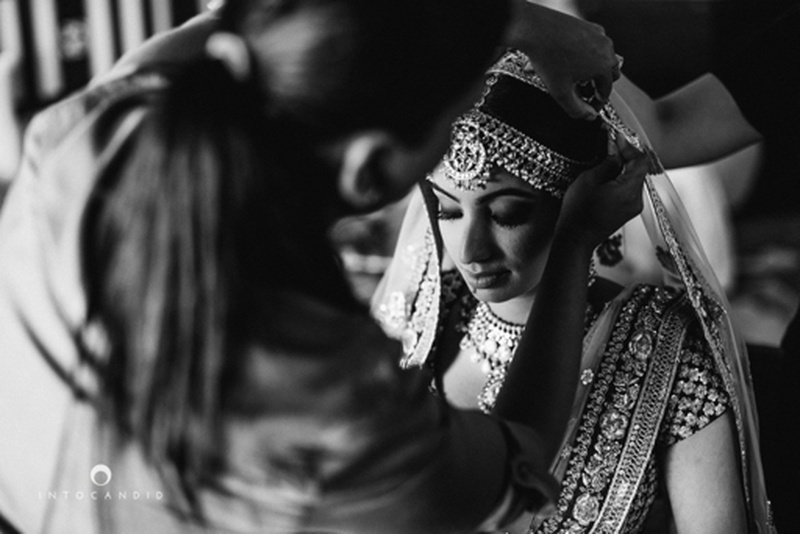 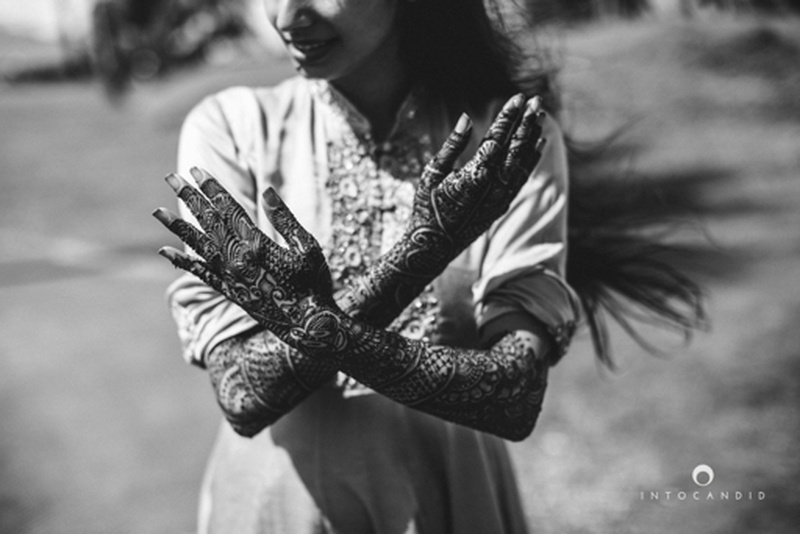 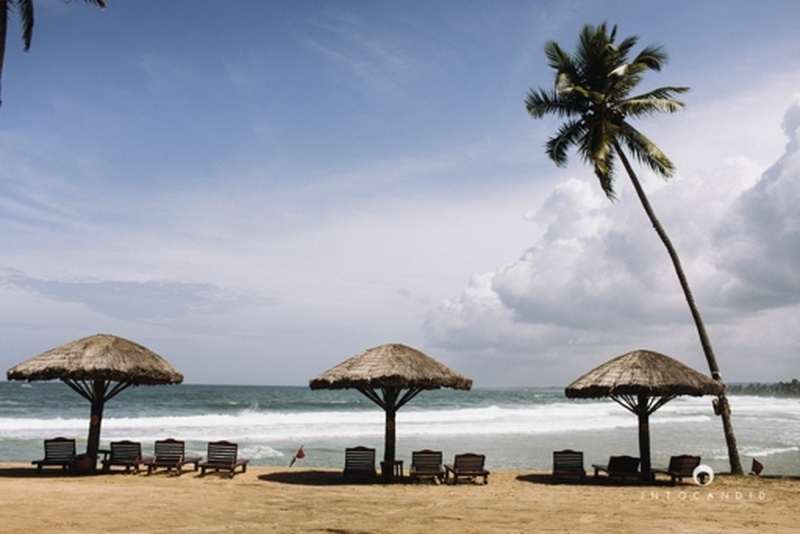 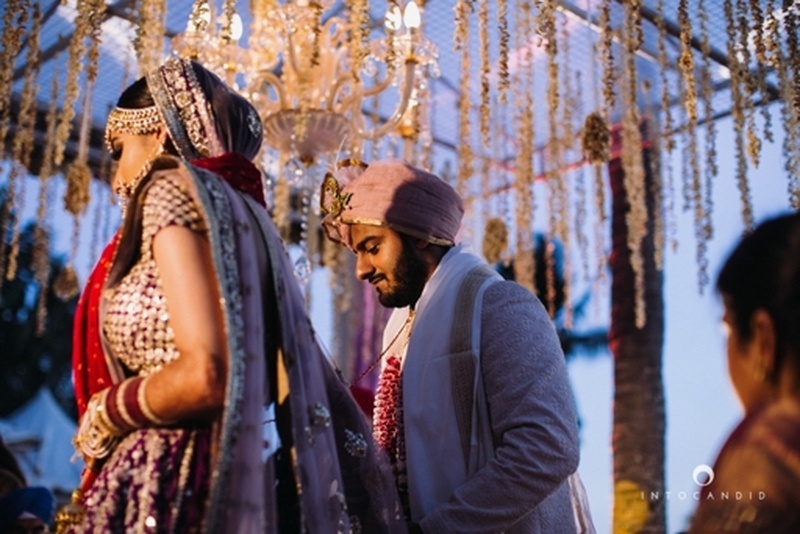 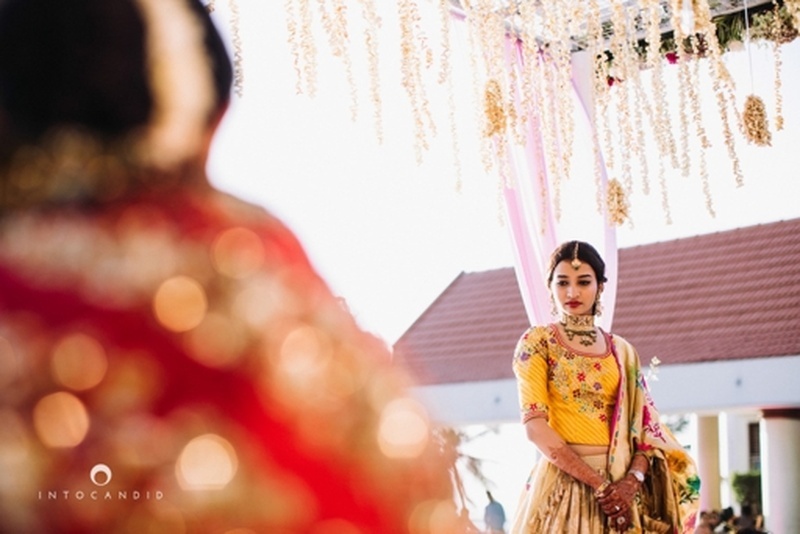 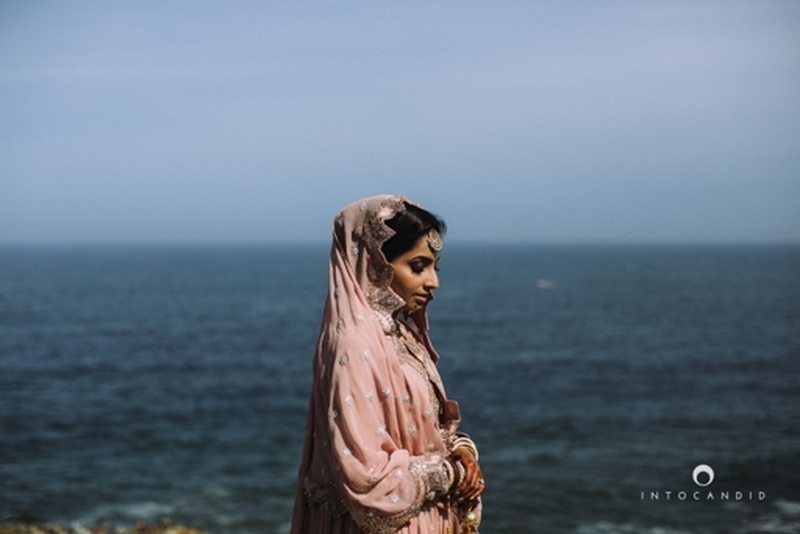 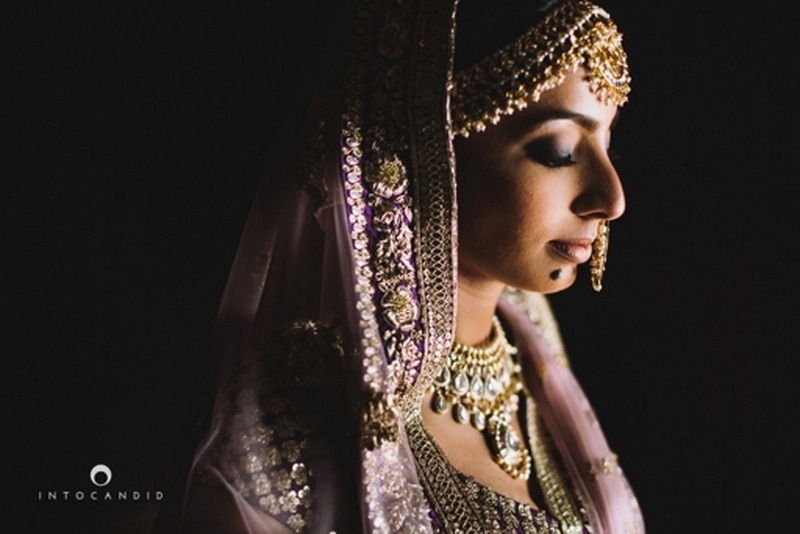 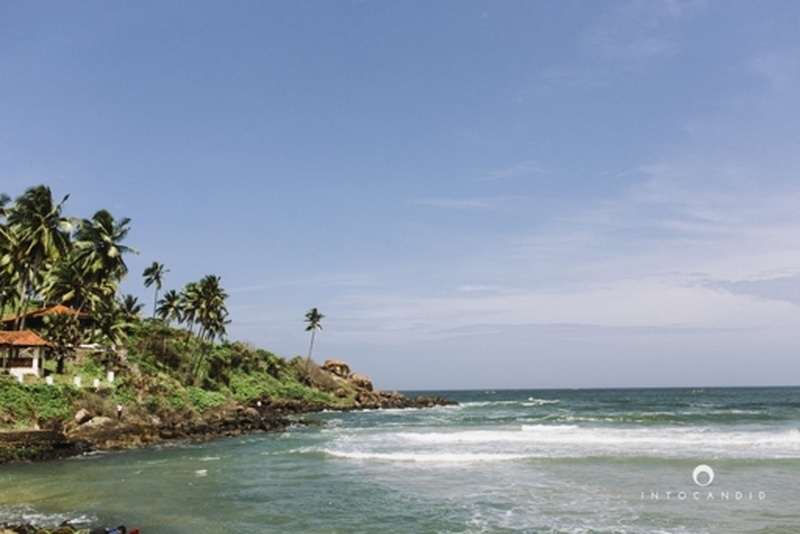 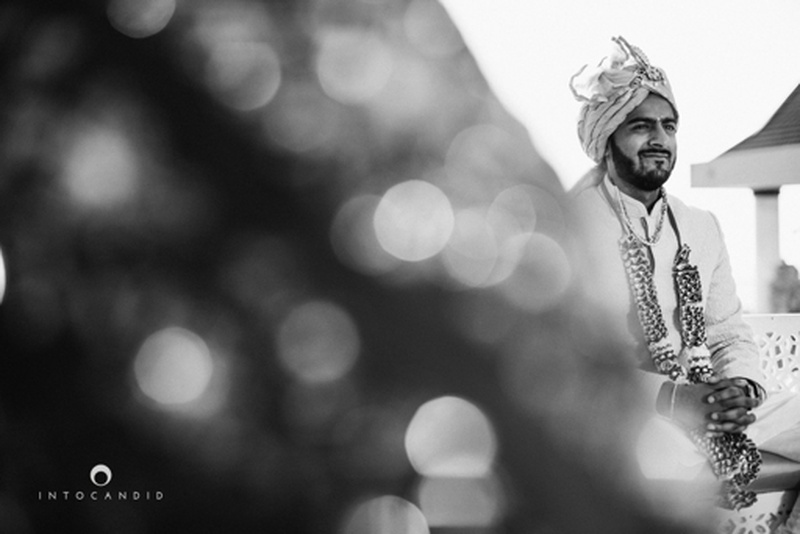 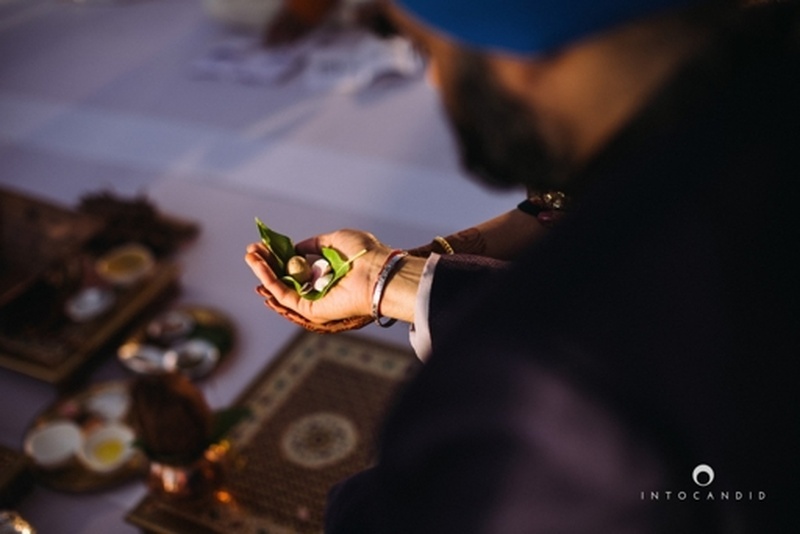 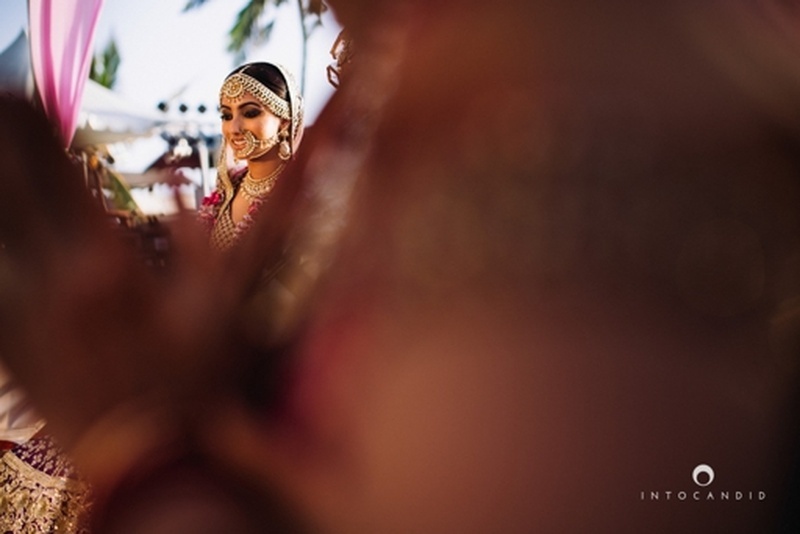 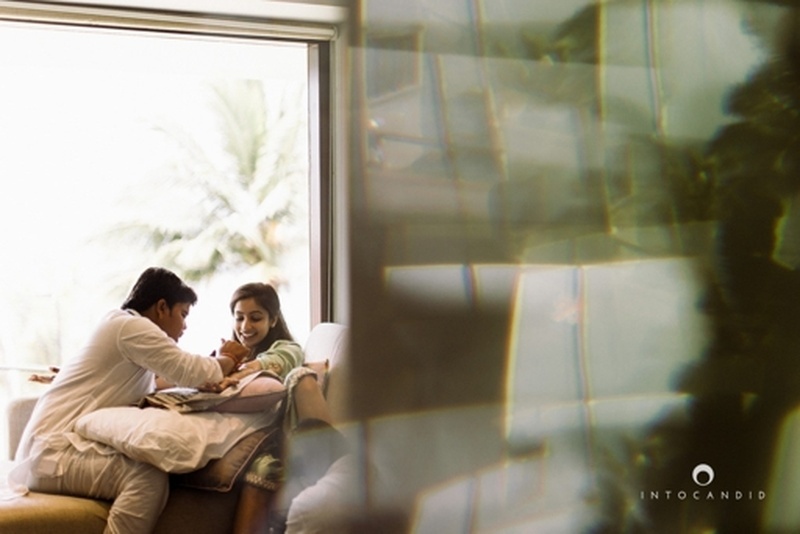 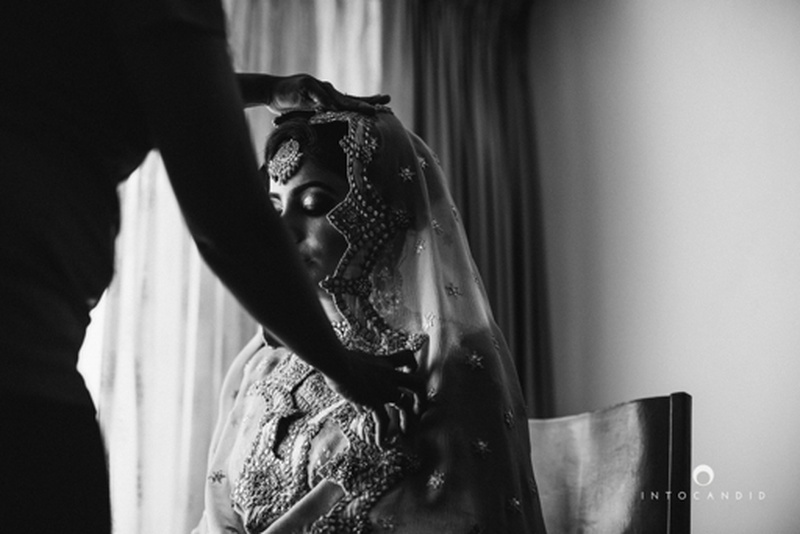 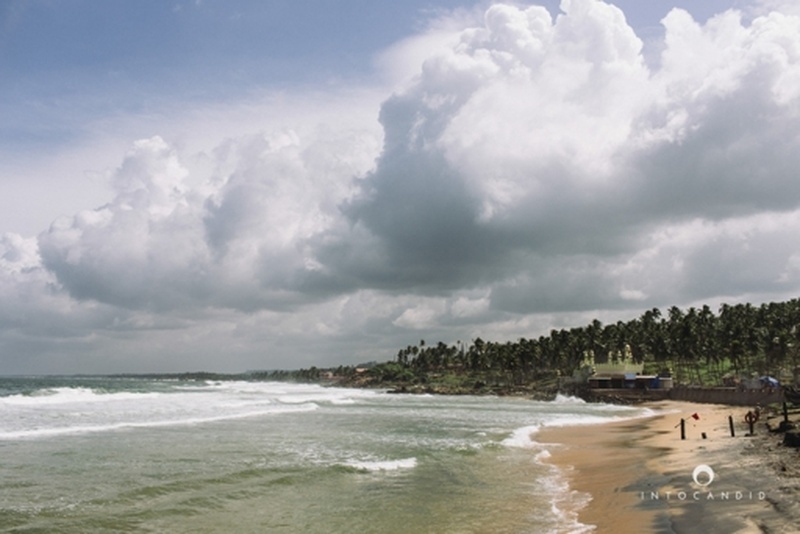 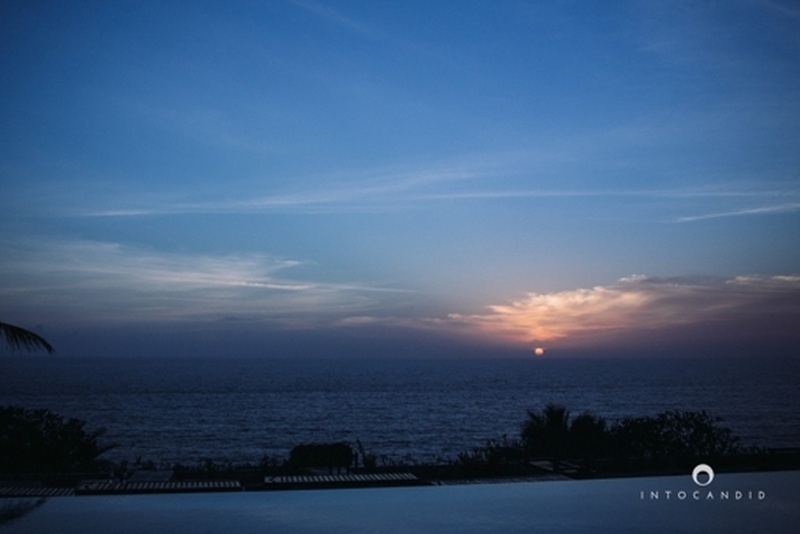 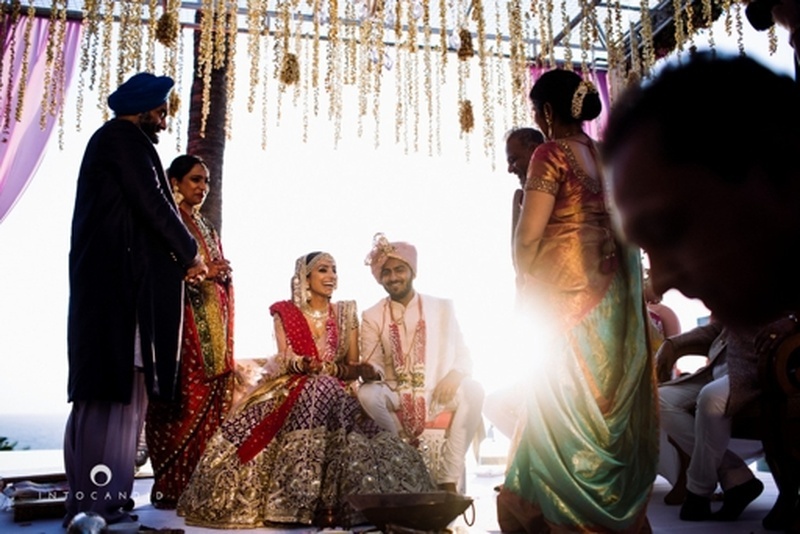 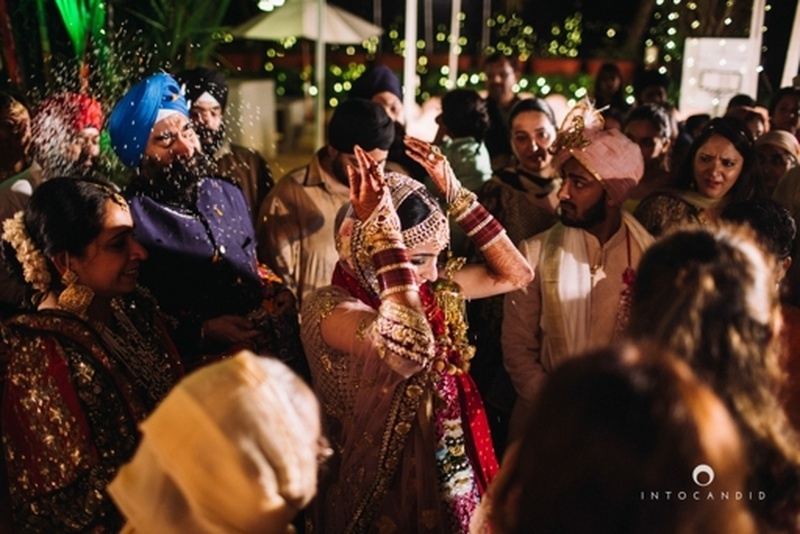 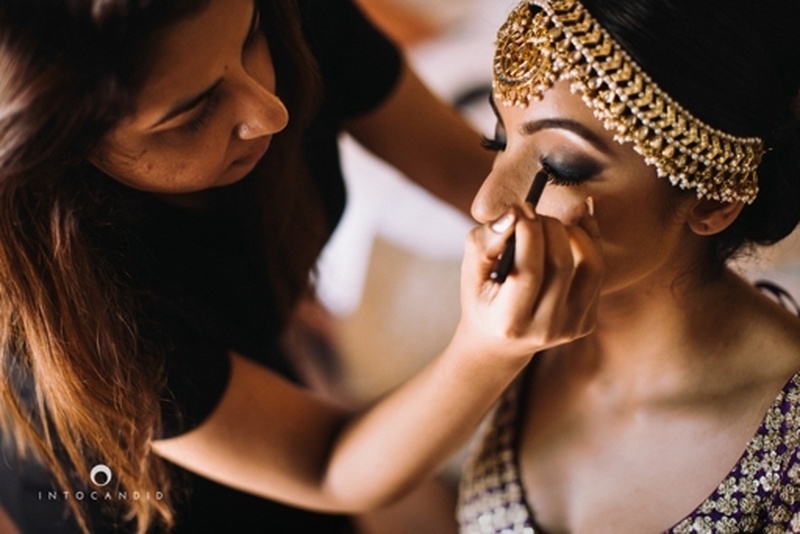 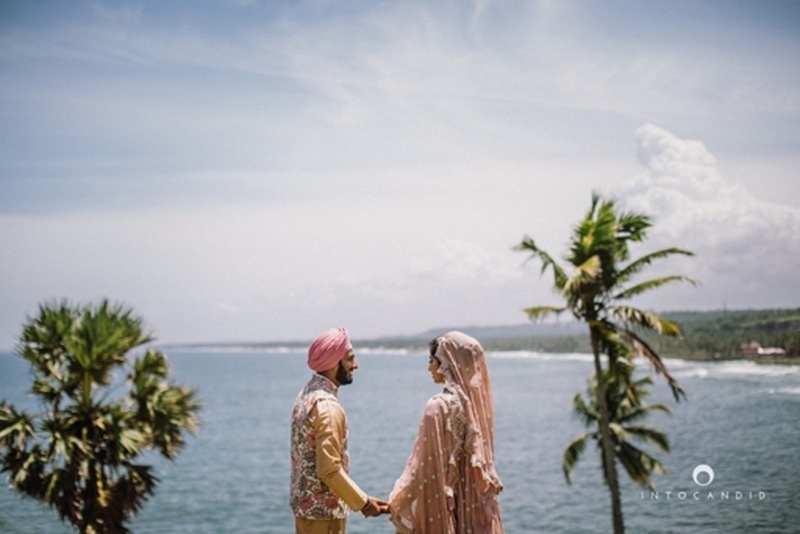 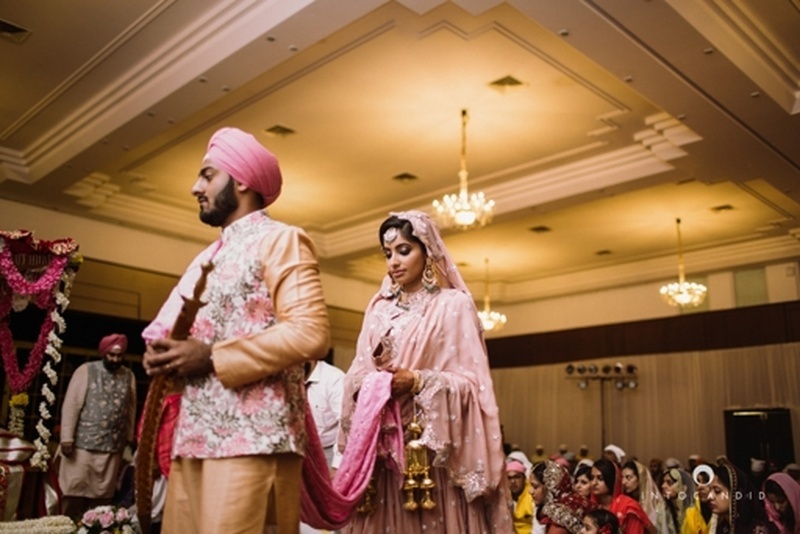 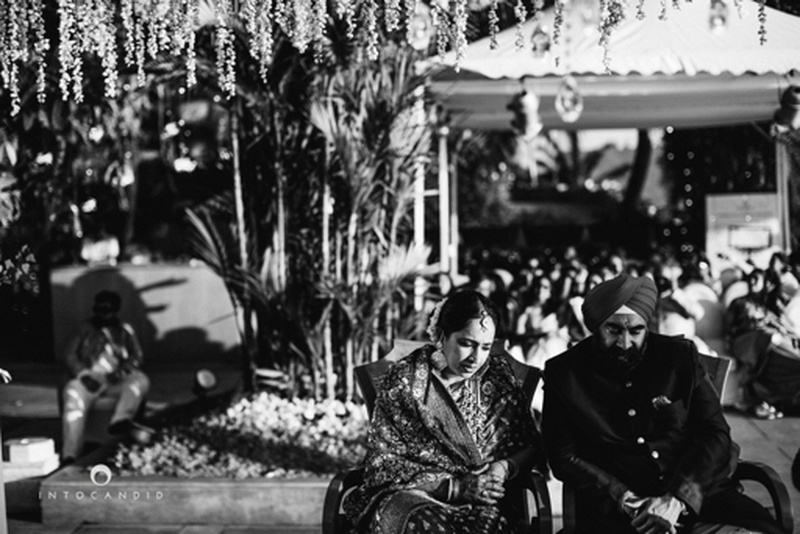 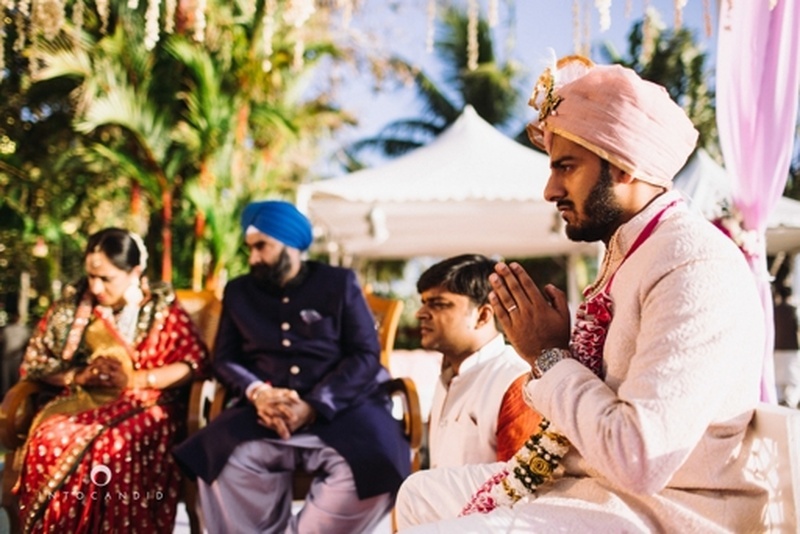 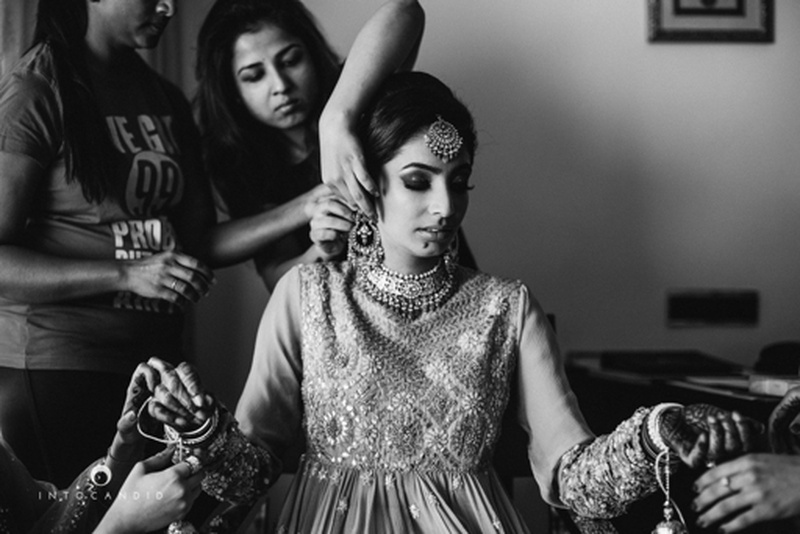 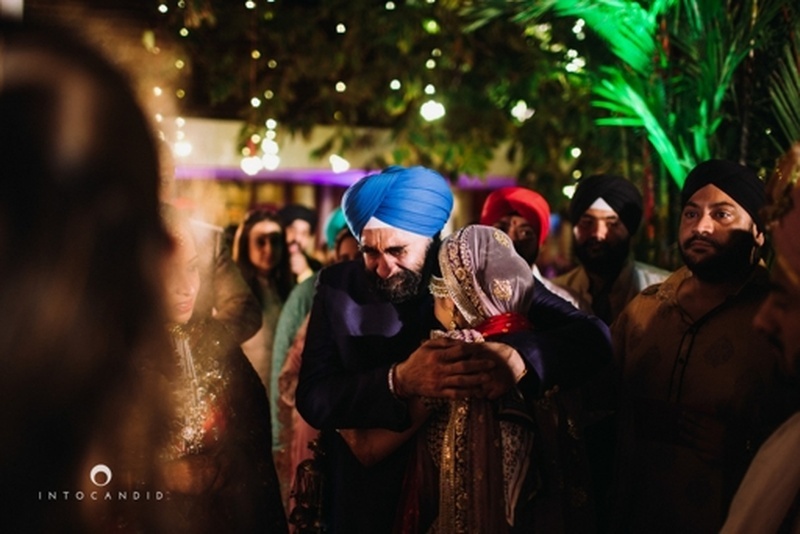 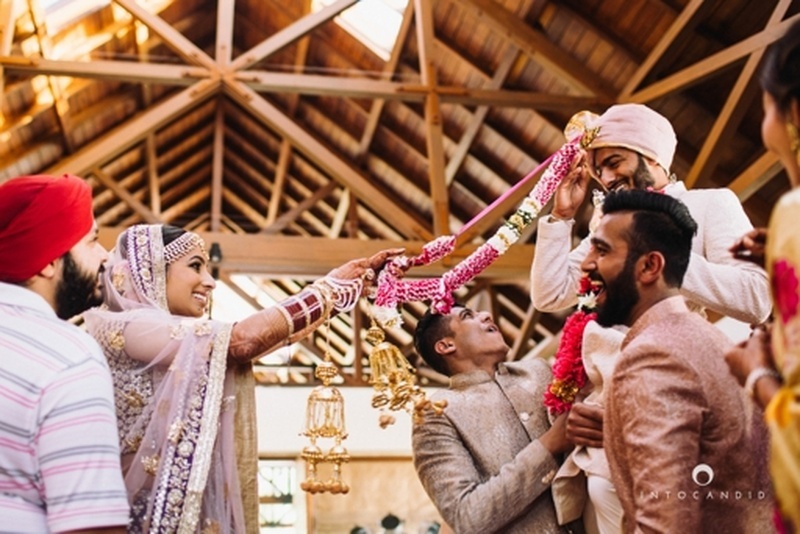 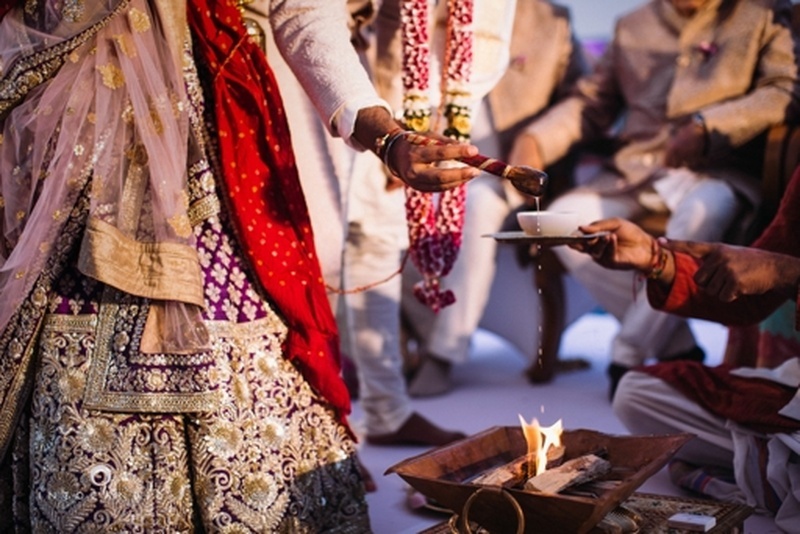 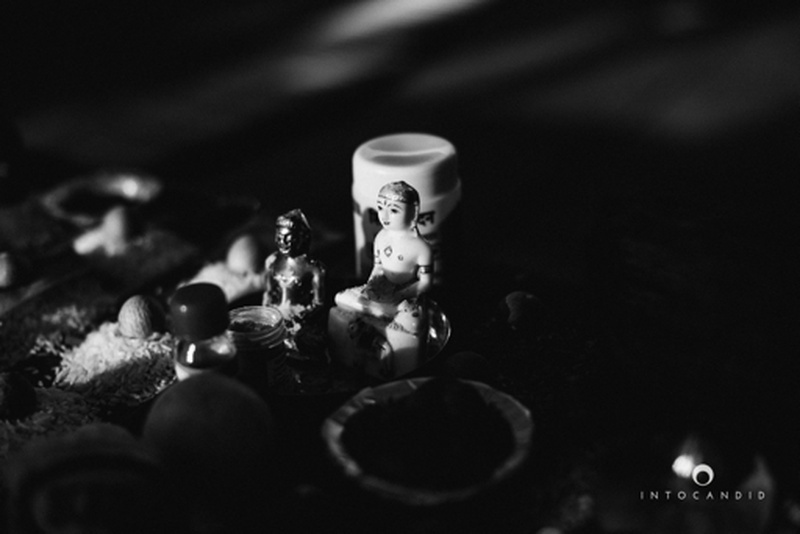 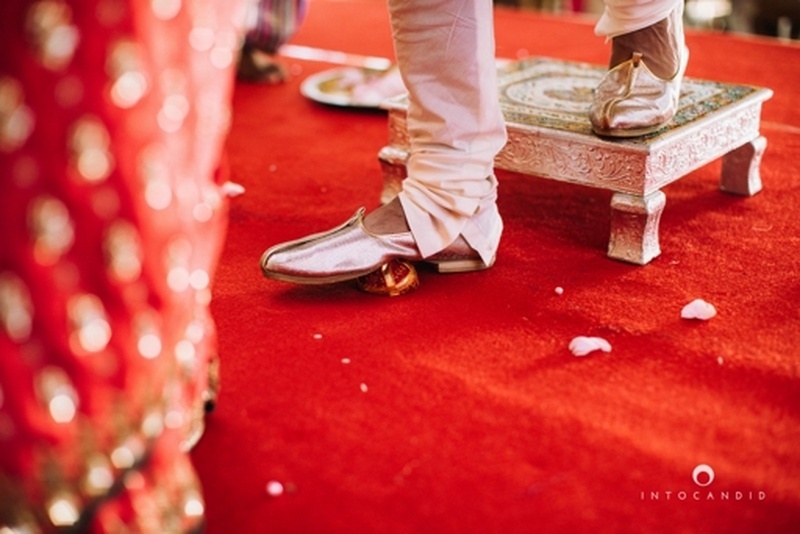 This beautiful couple had their Jain-Sikh beach wedding at The Leela, Kerala. 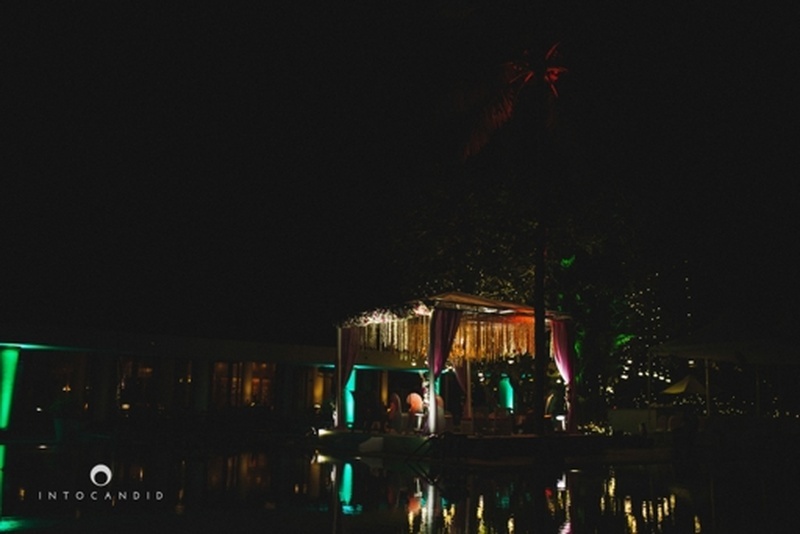 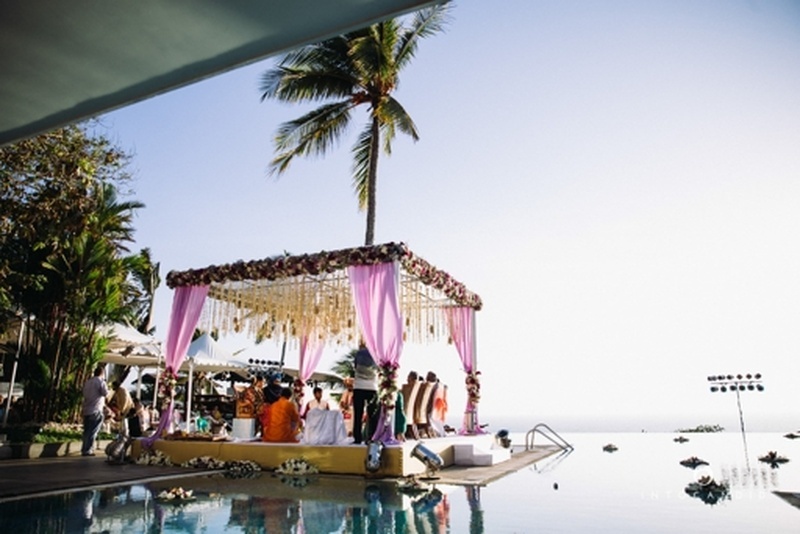 The serene location served as the perfect spot for the two to make their love official. 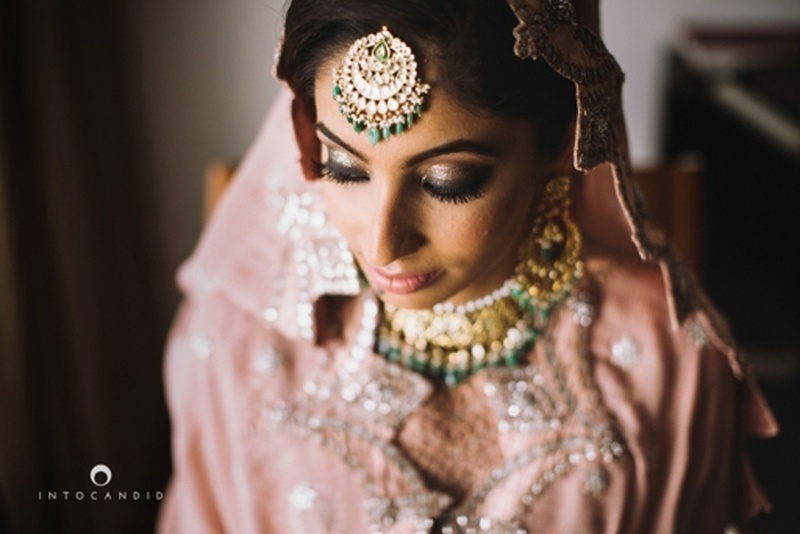 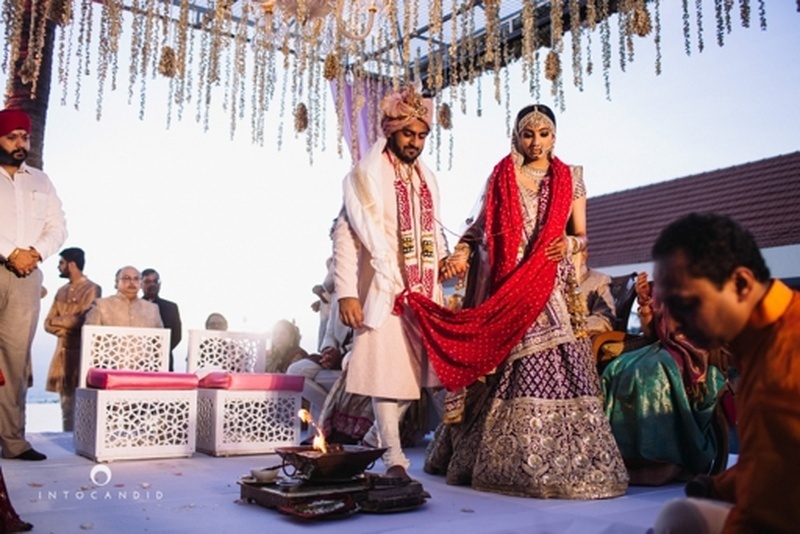 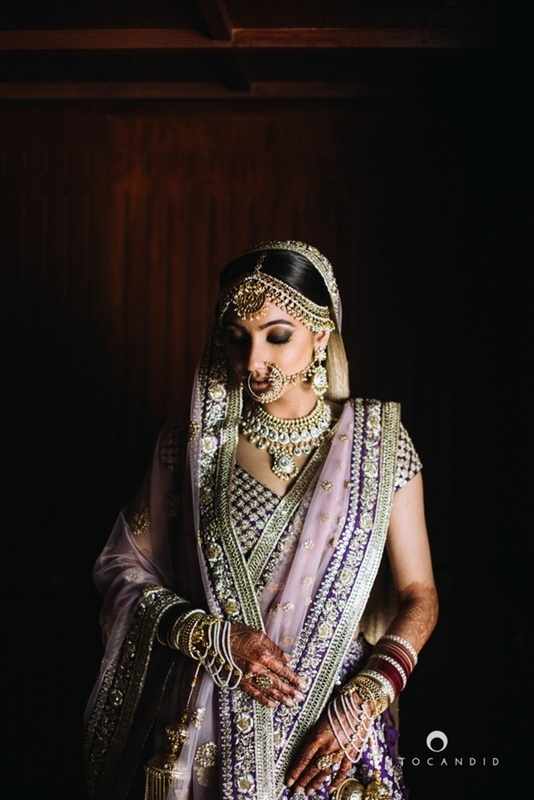 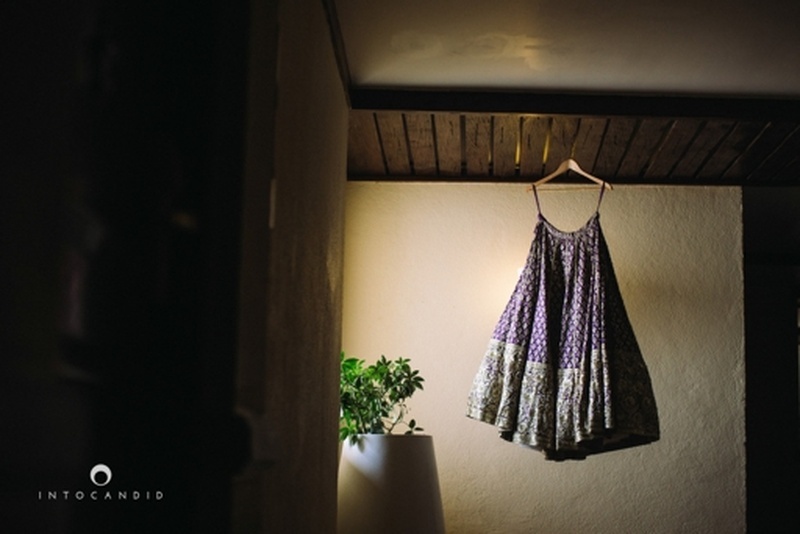 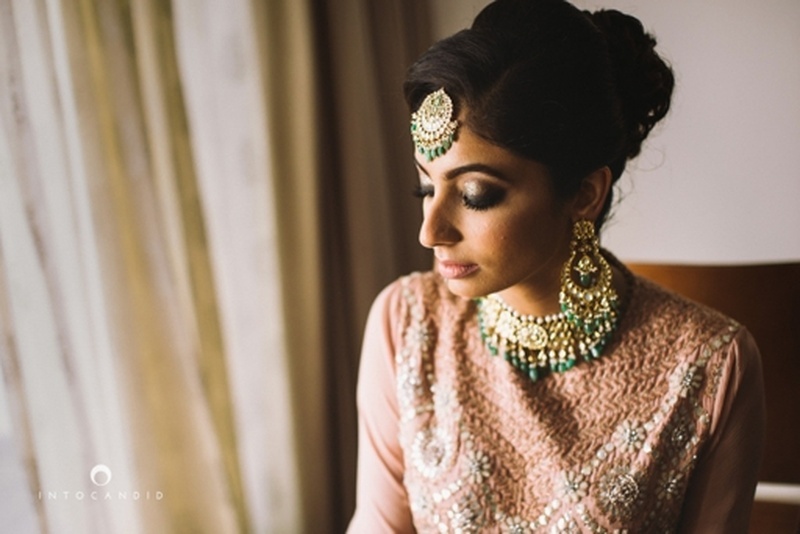 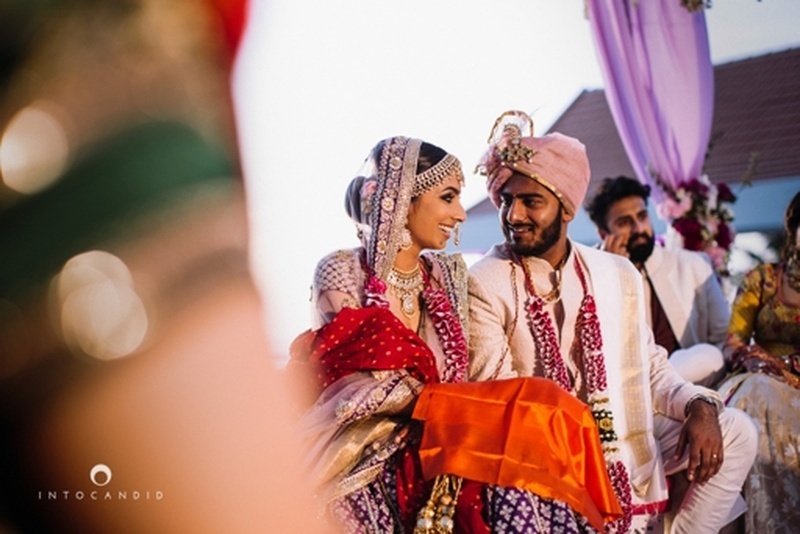 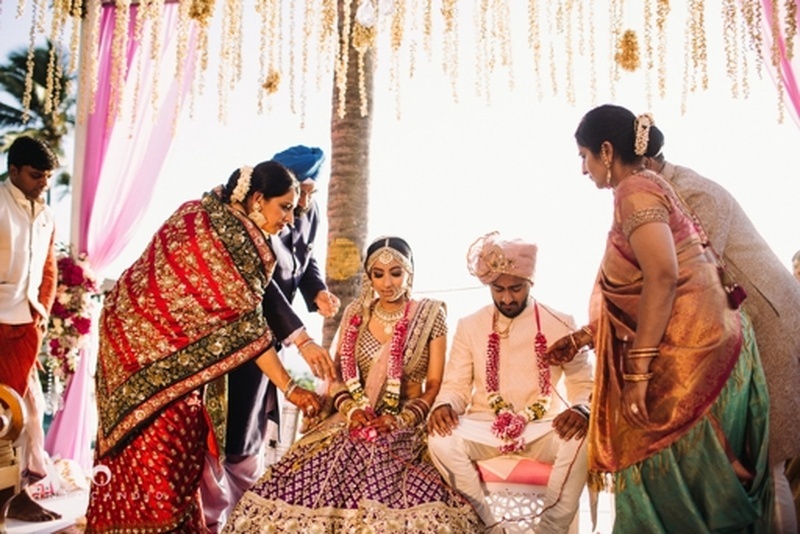 We loved Roshni's uncommon choice of a lavender and eggplant lehenga by Sabyasachi. 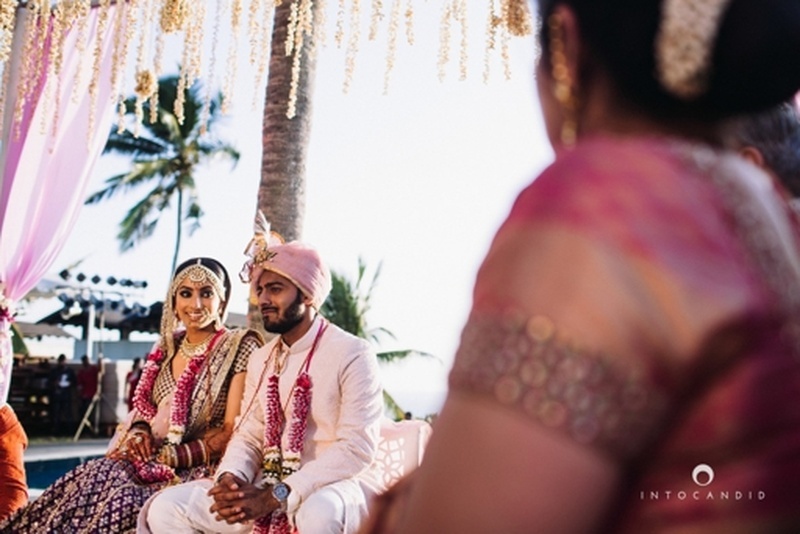 Their stunning mandap decor of suspdended floral strings is an idea worth stealing!